1. Who is the best British writer, according to the man? A. Jane Austen. B. William Shakespeare. C. Charles Dickens. 2. What do we know about the man? A. He went sightseeing. B. He visited art museums. C. He bought some paintings. 3. What does the woman expect the man to do on Saturday? A. Celebrate their mum’s birthday. B. Take Brian out for the day. C. Accompany Brian to hospital. A. She doesn’t like the travel. B. She won’t go because of the bad weather. C. She isn’t sure which means of transport to take. 5. What are the speakers mainly talking about? A. A film. B. A novel. C. A writer. 6. Why does the woman not want the first one? A. It is expensive. B. It is heavy. C. It has no guarantee. 7. What is the most attractive to the woman about the second one? A. Its shape. B. Its price. C. Its functions. 8. Where docs the conversation take place? A. At a hotel. B. At an airport. C. At a police station. 9. What does the man suggest the woman do? A. Wait where she is. B. Make a request for the loss. C. Give him her telephone number. 10. What’s the relation between the speakers? 11. Why does the woman look worried? A. Her son has difficulty sleeping. B. Her son seems to be a web addict. C. Her son has some health problem. 12. What might the woman think of Alice’s way to deal with her problem? A. Practical. B. Strange. C. Wrong. 13. How long will the course run this year? A. Eight weeks. B. Seven weeks. C. Six weeks. 14. What was the woman surprised at? A. The lack of assistants. B. The condition of weather. C. The number of children. 15. What new activities can the children have this year? A. Adventure sports. B. Fun programmes. C. Creative classes. 16. What is expected about the course this year? A. It will run better. B. It will last longer. C. It will start earlier. 17. How does the speaker describe Johnny Depp? A. Rich and boring. B. Traditional and shy. C. Amazing and interesting. A. A pirate Captain. B. A man built by a scientist. C. A children’s story character. 19. According to the speaker, what was one of Depp’s most popular roles? A. Jack Sparrow. B. The Mad Hatter. C. Edward Scissorhands. 20. Why does the speaker think Depp is successful? A. He built his own island. B. He won an Academy Award for Best Actor. C. He is one of the highest paid actors. 21. Some educators insist to classical music is certainly a form of school education. 22. — How come she fell over? —I didn’t push her ; it was an accident. 23. — Tony is on cloud nine and he smiles at everyone. —So you if you come first in the competition. 24. — He is not suitable for the job? —No. I have serious about his ability to do it. 25. Suddenly the string broke, leaving the kite flying free. , higher and higher until it was out of sight. 26. The weather in England is changeable, its reputation. 27. Offered the position of chairman. Smith , preferring to keep his current job. 28. ---Will you keep her company? 29. It was not until I read a film review how special the film the Isle of Dogs was. 30. I am grateful to my tutor as she is enough to overlook my little mistakes. 31. — How much salt did you put in the soup? 一 Oh, sorry! . I forgot. 32. This non-governmental organization launched the animal rights movement, appealing to people to all products tested on animals. 33. The construction work is well under way with caution through the uninhabited area, lies a national nature reserve. 34. In social activities, it is always important to be , to have a strong conception of time. 35. — John told me Max was sure to win. --- I don’t think he has a chance. A. I beg to differ. B. No bother. C. What for? D. You said it! On a road trip to California’s breathtaking North Coast region, my husband Ken and I, my teenage daughter Lahre, and my nine-year-old son Shawn, stopped to have lunch and stretch our legs a bit. Once inside, my teenager whispered to me, “Mom, he 41 .” And Shawn asked questions about him, not quite understanding the 42 of a homeless person. Ken and I explained the best we could, telling the kids to look to the person underneath and within 43 the dirt and smell. With the windiest part of our trip just 44 us, the kids needed to take car-sick pills so I went back to the car to fetch them. As I 45 the front door, the “doorman” was opening it for an older couple, who rushed past him and didn’t even acknowledge his 46 . I let the couple 47 first and then said a loud and gracious “thank you” to the doorman. After going back inside, I asked our waitress, who was bringing the kids their dessert, to 48 one soup and sandwich special to our bill. Both the kids looked at me 49 ---as we had already eaten but Ken knew exactly what I was doing. By this time, we had to get back on the road to stay on schedule. As we rounded the comer of the very full restaurant, the “doorman” was sitting at a table enjoying his 50 . When seeing me, he jumped up and 51 his hand for a handshake. It was then that I 52 he had tears in his eyes—tears of gratitude. 53 we can’t choose many things in life, we can choose when to show gratitude, and I was doing just that. Hopefully, when someone opens a door for Lahre and Shawn during their 54 through life, they will remember to say “ 55 “ and have a great soup and sandwich special on the menu, too. Whether you’re looking for a graduation gift idea, or you’re hoping to help your teen make better choices, a motivational book might be the answer. Who Moved My Cheese? has been a life changing book for many adults. The teen version will surely create positive change in their lives as well. Adolescence is filled with change and uncertainty and this book focuses on the skills needed to adapt and develop increased resilience. Written by Dave Pelzer, the #1 New York Times bestselling author of A Child Called “It”, this book is a ‘part self-help book and part inspirational memoir.’ Pelzer shows teens how they can overcome whatever challenges they face in life. The author, Mawi Asgedom, grew up during a civil war in Ethiopia. He overcame adversity and was awarded a scholarship to Harvard. In this quick read, your teen will learn valuable lessons on resilience. Sean Covey, son of the author of The 7 Habits of Highly Effective People, provides a teen-friendly version of this classic book. Helping your teen develop these habits at an early age will set him up for future success in life. 56. Who is the passage intended for? A. Parents. B. Teachers. C. Teenagers. D. Graduates. 57. Which of the following is TRUE according to the introductions of the four books? A. Who Moved My Cheese? for Teens appeals to adults and teenagers alike. B. Help Yourself for Teens: Real-Life Advice for Real-Life Challenges is the #1 New York Times bestseller. C. The Code: The Five Secrets of Teen Success touches on achieving academic success against a background of military conflict. D. The 7 Habits of Highly Effective People is written by Sean Covey with the help from his father. When It’s Time to Give Up I’m sure you have been told that in order to become successful, you must persevere (坚持), fight, stand up whenever you fall, and march forward until the end. I say those things to people all the time, so why am I telling you now that sometimes it is actually better to quit? The reason is that in certain cases, you could only go forward if you go back. Sometimes you will be putting a lot of time and effort in achieving a goal to find out one day that your strategy is totally wrong. You could be achieving the same results in half the time had you been focusing on doing the more important things. Let’s say your goal was to lose weight. You then set a goal to do 1000 sit-ups a day. After about 1 month of doing this, you realize that you have been disciplined enough to hit your goal of 1000 sit-ups a day, however, you aren’t getting any closer to your main goal of losing weight. This is called focusing on a secondary goal, which sometimes is the wrong strategy. We sometimes get so focused on a secondary goal that we lose focus on the primary goal. I see this with sales people all the time. Their main goal is to make money but they often find their focus on hitting some new position within the sales department and when that doesn’t happen, they feel like a big failure. The goal never was to hit some position; the goal was to make money whether with this company or another company. Would it make sense, in this case, for a sales person to quit the job if his goal of making a certain amount of money just wasn’t happening? His managers would probably call him a quitter, but his goal is to make money. If he can obtain that goal through a different source, then quitting would actually be the smart thing to do. So when is it time to give up? When what you are doing no longer makes sense in respects to achieving your main goal. Sometimes it will make more sense to give up what you are doing and start on a different path towards the same goal. Some people will spend their entire lives on a path to a certain goal only to find out in the end that the path they took was the wrong one. There is no shame in giving up on a path you are taking to your goal as long as you always aim to reach your goal. There’s no point in staying on a path that will lead you to nowhere. 58. Why does the author advocate giving up? A. Because giving up halfway will save half the time. B. Because perseverance does not work in most cases. C. Because sometimes people adopt wrong strategies. D. Because no one can achieve success without hard work. 59. Which of the following is a secondary goal in the case of sales people? A. To gain recognition from their boss. B. To make money in the present company. C. To work for other better companies. D. To get promoted in the sales department. 60. What is the author’s attitude towards giving up? A. One should devote his whole life to one goal rather than give up. B. One should not regret giving up if he finds he is on a wrong path. C. One always needs to stick to the same strategy to achieve his goal. D. One should focus on primary and secondary goals before he quits. One of the newest words on the coffee stage is “shade grown coffee”. Shade grown coffee isn’t new. In fact, until only a few years ago, shade grown coffee represented the major coffee beans sold on the world coffee market. The coffee plant is a natural shade lover, growing best in the shade afforded by an overgrowing canopy (树冠) of rain forest plants. That canopy protects the coffee plant from sunlight that reduces its production and kills it. Shade grown coffee is, however, more expensive to grow, at least in the short run. Growing coffee in the shade means that coffee growers also have to spend time working on the protectors. It means that less land is left to produce coffee beans. The arrival of technically engineered coffee plants that grow well in the sun represented a major development in coffee industry. Because there was no need to grow shade trees to protect the coffee trees, farmers could use more and more land to grow coffee trees, increasing their productivity and leading to more money for the coffee plantations (种植园) and farmers. However, it was not a good idea to move away from shade grown coffee. The sheltering canopy provided more than just shade for the coffee trees. Those plants provided shelter for birds and other animals who feed on pests. They help to fix nitrogen in the soil, and nitrogen is a natural fertilizer which makes plants grow more successfully. The increase in land used to grow sun loving coffee trees also had an unexpected effect on the law of supply and demand. The increased production resulted in a huge amount of coffee beans coming to the market, which brought down prices. Moreover, most experts agree that shade grown coffee is better in taste than coffee grown in full sun. Plants grown in shade take longer to develop. The slower growing time helps to improve the coffee’s taste. You can buy a can of shade grown coffee to replace your usual sun coffee. One cup of coffee a day---it’s a small price to pay for a better world. 61. What do we know about shade grown coffee? A. It has been introduced to the market recently. B. It was the main coffee beans sold on the market. C. It is protected by the canopy from pests and animals. D. It grows well where there is adequate natural sunlight. 62. Why did farmers move away from shade grown coffee? A. It had a bitter taste. B. It left no land for shade trees. C. It offered less profits. D. It’s no longer well received. 63. What is an advantage of sheltering plants? A. They keep a balanced environment. B. They bring more money to farmers. C. They help clear the nitrogen in the soil. D. They make coffee plants grow quickly. 64. What does the author suggest? A. Spending less on coffee. B. Listening to experts’ ideas. C. Buying shade grown coffee. D. Planting sun loving coffee. Like many sensitive souls, I never truly felt like a child. I was the oldest child of three and one of my nicknames as a child was “Little Mother” because I got great joy from taking care of my younger siblings (兄弟姊妹). I truly believe that the adults around me thought that I was a child that didn’t seem to need physical affection. There was generally a lot of verbal affection but very little hugging pulling me onto their lap, rubbing my back when I couldn’t sleep and other forms of physical comfort. I used to have a strong desire for that touch so very much but did not have the confidence to say so. Even though I had truly wonderful parents, family and friends, I remember a distinct hunger for human touch from a very early age. When my first child was born, I remember never wanting to put him down. Grandparents, friends and even strangers at the grocery store would warn me about “spoiling him by holding him too much,” I would smile and nod but ignore this advice, as well-intentioned as it was. I held each of my three children as often as I could, enjoying the quickly-passing experiences of breastfeeding them, snuggling (依偎) their little heads into the crook of my neck and rocking them gently to sleep. There was joy in work of motherhood, the like of which I had never experienced before. There was joy even in the bleary-eyed (睡眼惺松的)nights, in the crying fits of late evening, in the ever-present bouts of illness that rocked this house as it spread person to person. The joy was in the togetherness, the love, the snuggles amidst the struggles of life that did not always have joy outside of these precious moments. When I was in nursing school, an instructor once told me about the importance of non-contingent touch---touch that isn’t secondary to something like an assessment or treatment. She reminded us that not everyone has love in their lives and that love is essential for healing and growth. The easiest way to show love is often with a simple hand on the shoulder, holding hands with a frightened client, sitting next to them on their bed while chatting with them so they can see that you are not hurried and are present in the moment. I believe that non-contingent touch is just as important, or maybe even more important, in parenting. We touch our children when helping them bathe, dress and many other ways during our busy days. However, we mustn’t forget the importance of hugs, snuggles, pats on the backs, the rubbing of hair throughout the day. Touch is one of the most important languages of love. One of the most important surprises of parenthood for me was that the physical time spent with my children satiated not only their need for love but also my own hunger for human touch. In loving them, I was loved. In holding them, I was held. In raising them, I rose up. We have become a disconnected society. We often connect more with others via social media、e-mail and text than face-to-face. Our younger generation seems lost in the technological void and they often struggle with even the simplest of in-person communication. We must teach our children the powers of touch, kindness of words and connection with ourselves that cannot happen if we have a blue screen perpetually in front of our face. We are powerful beings, we humans. As parents we can provide power for our children with our words and with our touch. May we teach our children the significance of small kind gestures, simple human touch and connecting with humanity on a personal level. May we reach out to another person as often as we reach out for the smartphone in our pockets. 65. From the first paragraph we can know that the author . 66. What did the author do in the work of motherhood? A. She avoided holding his son too much not to spoil him. B. She always gave them various forms of physical comfort. C. She had to cheer herself up in the struggles of life. D. She had a painful experience raising her children. 67. The most important lesson the author got in nursing school is that . 68. What does the underlined word “satiated” in Paragraph 5 mean? 69. The last two Paragraphs arc intended to . 70. What might be the best title of the passage? China is expected to see a record high number of college graduates in 2018 as around 8.2 million students will obtain their degree this year, according to the latest statistics from Ministry of Education. The number of college graduates in China has been rising since 2001, which leads to a more competitive employment market. However, besides fierce competition, many graduates admit that they face another big problem-employment discrimination. A research in 2017 shows that around 75.7 percent of new graduates said they were, to some extent, discriminated or suffered from injustice when finding jobs. Female college graduates still face great wall of discrimination in the employment market. “Males only”, “Married with children preferred”: These are some of the conditions commonly found in recruitment (招募) advertisements. According to a research by Renmin University of China in 2015, male college graduates do have more interview opportunities than female college graduates despite the similar academic background and work experience. Recruitment advertisements sometimes also show favor for local applicants. Non-locals had been denied jobs because their registered residence origin was not the same as the city where they were hunting for a job. Apart from “invisible thresholds (门槛)” like gender and region, college graduates in recent years were disappointed to find that personal details like superstitions (迷信) about blood type, zodiac, and facial structure were all part of the decision-making process by some potential employers. An applicant’s surname can also help or hamper (妨碍) job prospects. A family name that suggests prosperity, like Jin, which means “gold”; while a last name like Pei, which can mean “to lose money”, would likely be negative. Besides, job seekers also found that some employers paid much attention to their appearance rather than the working performance. To fight against employment discrimination, both the government and society have made great efforts. In 2007, Employment Promotion Law was passed with the purpose of apposing employment discrimination and promoting justice in job recruitment. The Ministry of Education in 2017 issued regulations to ban work discrimination in on-campus job fairs. This year, several cities, bureau of human resources required job fair organizers to set special reception desks so as to deal with job seekers, complaints about discrimination. Non-profit organizations were established to oppose work discrimination, while legal aids were also provided to job seekers through social media platforms like Weibo and WeChat. Current (71) ▲ In addition to fierce competition, employment discrimination is another big problem (72) ▲ many graduates. Male college graduates are more (73) ▲ to land a job than their female counterparts in spite of the similar educational qualifications and relevant job experience. • (74) ▲ from specific regions like Central China’s Henan Province and Northeast region are excluded from some companies. • Local registered residence origin is a (75) ▲ factor in finding a job. Greater (76) ▲ is attached to personal details and appearance in (77) ▲ with the working performance. • Establishing non-profit organizations to provide legal aids to job seekers through social media platforms. 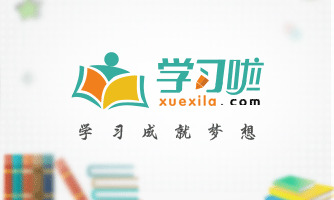 BEIJING, March 15 (Xinhua) — Premier Li Keqiang on Sunday called on the Chinese people to read more and promised that the policy of encouraging reading will again be part of next year’s government work report. “Reading is what I enjoy the most in my spare time. It makes me feel wealthy, and it has been the most rewarding experience in my life,” he told reporters after the conclusion of the annual legislative (立法的) session. It is worrisome, however, that the average per capita (人均) amount of reading in China is only one-tenth of that of some other countries in the world, Li said. Reading can not only unlock potential for innovation, but also enhance civic morality, he said, adding that encouraging reading will be part of next year’s government work report again after featuring it for two consecutive (连续的) years. Having realized the importance of reading, Chinese government will again include the policy of encouraging reading in the government work report with the intention of building a nation of readers. This policy has a far-reaching influence on both individuals and the nation. On a personal level, reading not only promotes a better understanding of the world and the reader himself, but also facilitates autonomous learning and life-long learning. On a national level, reading enables Chinese people to keep up and spread our culture and traditions so that we can let the world know more about China. To promote the implementation of the policy, the government, organizations and individuals should all be involved. The government is supposed to provide both financial and policy support for the construction of public libraries and other facilities. Organizations should learn more about local people’s reading needs and organize regular reading events. As individuals, we should develop good reading habits. With our j oint efforts, the vision of building a nation of readers will become a reality. M: Who do you think is the greatest British writer? W: William Shakespeare or Jane Austen. M: Hmm. They are great, but I like Charles Dickens more. I like his work Great Expectations very much. M: I went to Europe and visited some art museums. W: That was fantastic. You must have seen a lot of paintings by the masters like Picasso and Van Gogh. W: What’s the matter with you, Jack? M: Brian phoned me today. He was wondering whether I could go to hospital together with him to get his eyes checked as he is getting short-sighted. W: I’d rather you didn’t. It’s mum’s birthday and I thought we could take her out for the day. M: How will you travel to Dalian next week, by ship, by coach or by train? W: Well, I want the latest information about weather forecast before I decide it. M: God, I’m glad that’s over. W: So you don’t like it? It’s based on a novel written by a famous writer. M: No, I think the plot, the dialogue and the whole thing about the war are hard to understand. W: But the leading actor is my favorite. W: Hi, I’m looking for an electronic dictionary for my son. M: Here are the new ones on sale. What about this one? W: It looks good but is heavy. M: Then look at this one. It is portable and shaped like a pen. M: It is suitable for learning English, including quick translation and a pronunciation guide. It checks spelling and helps exam revision. W: That’s what I need. Is it easy to use? M: Yes. Just run it over a line of text and it does all the work for you. W: Then how much does it cost? W: What about the guarantee? W: Hi, I just arrived on Flight 245 from London. I waited until all the luggage came out, but my suitcase wasn’t there. M: Well, I guess it might have been put on the wrong flight. There’s a chance it won’t arrive until tomorrow. M: I’m very sorry about this. Leave us a phone number so that we can reach you, and the airline will call you as soon as we get your suitcase. M: Hi, Jean. You look worried. Is everything OK? W: Well, my son seems addicted online. He is online for most of his waking hours and feel sick and depressed if he loses access to the web. M: Oh, dear … er … but not a surprise. My friend Alice had a similar problem with her daughter last year. W: How did she settle it? M: She didn’t ban her daughter from using the Internet at first. She made her aware of the violent and harmful content and the negative impact of online games. But she placed a restriction on the use of mobile devices, when to use the Internet when to relax, not bring them to bed. W: That’s great. Perhaps I should deal with it the same way. M: Hello, everyone. We are lucky to have Molly Taylor here today. Molly is organizing an activity course for the summer holidays. Molly, this is the second year of the course, isn’t it? W: Yes. The summer course operated for the first time last year for a six-week period. We did think about making it longer this year and have a seven-week course, as there’re some schools which finish term a week earlier. In fact, two schools have eight-week holidays. But in the end we decided to keep to the same plan as last year. M: But, as I understand, last year’s course wasn’t a complete success, was it? W: Well, we were actually very surprised by the number of people interested in the course. We didn’t actually have enough assistants to look after all the children. Besides, there was such a lot of rain that we couldn’t go outside as often as we wanted to. M: So, what activities can the children look forward to this year? W: Well, once again there’ll be artists and musicians who will lead creative classes. We also considered providing some more exciting adventure sports. But we decided not to, in the end. Instead we’re introducing some fun programmes. I think it’ll be good fun for the children. W: Johnny Depp is one of the most famous American actors of his generation, with a wide range of film roles. This is perhaps one of the most interesting things about him—the varied and often strange characters he has played through the years. For example, near the beginning of his career, Depp played the main role in Edward Scissorhands. Edward is a man with sharp metal hands who was built by a scientist. A few years ago, Depp played the wild Mad Hatter in the classic children’s story Alice in wonderland. And Depp acted as the wonderfully strange Captain Jack Sparrow in the Pirates of the Caribbean film series, one of his most popular roles. He has received praise for many of these roles, although he has never won an Academy Award for Best Actor. Yet, Depp has been very successful in Hollywood, as he is one of the highest paid actors. In fact, he has so much money that he even bought his own island! Once you see Johnny Depp’s movies, his amazing characters will not be easily forgotten. A. £ 19.15. B. £ 9. 15. C. £ 9. 18. 1. When does the library open? A. At 7:30. B. At 8:00. C. At 8:30. A. In a hotel. B. In an office. C. In a restaurant. 3. Who is the man most probably? A. The woman’s friend. B. The woman’s husband. C. A taxi driver. 4- How will the woman spend her holiday? A. Have a good rest. B. Run a company. C. Go to work. 5. Why doesn’t the woman lend the man her electric bicycle? A. She lent it to a friend. B. The electric bicycle is being repaired. C. She doesn’t like talking to the man. A. Strangers. B. Relatives. C. Friends. 7. How far is the stadium from that big white gate? A. About 10 meters. B. About 10 -minute walk. C. About 300 meters. 8. What are the hotels like there? 9. Where do the two speakers live? A. In the United States. B. In Venezuela. C. In England. 10. What’s the best thing to buy in Venezuela? A. Clothes. B. Warm clothes. C. Cold jewelry. 11. How many students failed in the chemistry exam? 12. How does the woman learn chemistry before class? A. Buy some references. B. Turn to the teacher. C. Read the textbook. 13. What are they going to do? A. Go to the bookstore. B. Do some exercises. C. Play basketball. 14. What is the man doing? A. He is looking for a job. B. He is looking for a shop. C. He is looking for a travel agency. 15. Where can he go if he wants to find a suitable job? A. The government. B. Job markets. C. The employment agencies. 16. When are the employment agencies on business? A. On weekdays. B. Except on weekends. C. Except on weekends and public holidays. 17. What does the author do in Germany? A. A teacher. B. An assistant. C. A worker. 18. How many main differences are there between German and UK schools? 19. When do the students have their breakfast in Germany? A. After the first lesson. B. After coming to school. C. Before coming to school. 20. What do German kids usually wear to school? A. Jeans and T-shirts. B. Shirts and ties. C. Jeans and ties. There is a man who is dying to find the way to success, but he doesn’t have an idea how to do it. One day, he meets a guru, a religious teacher, on the road. The man asks the guru, “Which way is to success?” The gum doesn’t speak, but points to a place off in the distance. The man, thrilled by the prospect of quick and easy success, rushes off in that direction. Along the way, he is occupied in inking up something special but there is nothing. Suddenly there comes a loud splat(溅泼声). Eventually, the man limps back in rags, assuming he must have misinterpreted the message. Therefore, he returns to the guru for a reason. He repeats his question to the gum, who again points silently in the same direction. 21. Why does the man fail once more? A. He is so stupid that he cannot find it. B. The way to success does not exist in life. C. The guru gave the wrong direction to him. D. He does not make sense of the guru’s words. 22. What does the underlined word ‘‘obedient” in Paragraph 3 mean? A. Submitted. B. Pleasing. C. Disappointed. D. Unwilling. 23. What does the guru think of how to succeed? A. Getting the help from others. B. Achieving it all on your own. C. Keeping on going after some failures. D. Just facing up to many difficulties. 24. What does the passage mainly tell us? A. Believe in yourself. B. Don’t give up too soon. C. Listen to the wisdom’s suggestion. D. Introduce the guru’s wisdom. I love slipping into a comfortable chair for a long read-as I relax into the chair; I also relax into the author’s words, stories and ideas. The physical book is so elegant that it disappears into the background and what remains is the author’s world. Today, we, at Amazon, are excited to announce Mindle, a wireless, portable reading device with instant access to more than 90, 000 books, magazines and newspapers. disappear in your hands―to get out of the way-so you can enjoy your reading, also wanted to go beyond the physical book. Mindle is wireless, so whether you’re lying in bed or riding a train, you can think of a book and have it in less than 60 seconds. No computer is needed-you do your reading directly from the device. We chose the same wireless technology used in advanced mobile phones. But unlike phones there are no monthly wireless bills, no service or data plans, and no yearly contracts. There is no software to install. We want you to get lost in your reading and not in the technology. Mindle uses a new kind of display called electronic paper. Sharp and natural with no strong light reading on Mindle is nothing like reading from a computer screen. Mindle weighs only 10. 3 ounces-less than a paperback. but can carry two hundred books. Enjoy learning about Mindle and many thanks! 25. This passage most probably is a(n) . 26. From the passage we learn that Mindle is a device which . 27. With the device, the reader is able to . The poverty line is the minimum income that people need for an acceptable standard of living. People with incomes below the poverty line are considered poor. Economists study the causes of poverty in order to find solutions to the problem. As the general standard of living in the country rises, the poverty line does, too. Therefore, even with today’s relatively high standard of living, about 10 percent of the people in the United States are below the poverty line. However, if these people had stable jobs, they could have an acceptable standard of living. Economists suggest several reasons why poor people do not have jobs. For one thing, more than half of the poor people in the United States are not qualified to work. Over 40 percent of the poor people are children. By law, children less than 16 years old cannot work in many industries. A large number of poor people are old. Many companies do not hire people over 65 years old, the normal retirement age. Some poor adults do not look for jobs for a variety of personal reasons: they are sick, they do not have any motivation, they have family problems, or they do not believe that they can find a job. Other poor people look for a job, but cannot find one. Many poor adults never went to high school. Therefore, when they look for jobs, they have few skills that they can offer. First, if the national economy grows, businesses and industries hire more workers. Some of the poor who are qualified to look for jobs may find employment. Then they will no longer below the poverty line. Second, if society invests in the poor，the poor will become more productive. If the government spends money on social programs, education and training for poor people, the poor will have the skills to offer. Then it is more probable that they can find jobs. Finally, if the government distributes society’s income differently, it raises some poor people above the poverty line. The government collects taxes from the non-poor and gives money to the poor. These payments to the poor are called welfare. Some economists are looking for better solutions to the poverty problem. However, at the present time, many people depend on welfare for a minimally acceptable standard of living. 28. This passage is mainly about . 29. If the general standard of living in the country rises, the poverty line . 30. Which one is not the reason that poor adults do not look for jobs? A. They are too sick to work. B. They have no motivation. C. They family problems. D. They are too lazy to find jobs. 31. The underlined word “distribute” means “ ”. According to the findings of a new study, telling kids they’re smart enhances the idea that intelligence is a genetic gift rather than a skill that ran he improved, and children who think their intelligence is fixer! are not likely to pay attention to mistakes and recover from them. In the study publisher! online, researchers looked at 123 children who were about 7. The team assessed the children to determine whether they had a “growth mindset(思维定式)”. They asked the children to complete a fast-paced computer task while their brain activities were recorded. During the recording, researchers noted that brain activity stopped within a half-second after making a mistake. The larger the brain response was, the more the child focused on the error. Second, focus on using errors to work together and learn. Many parents and teachers shy away from mentioning a child’s mistakes, telling them “It’s OK. You’ll get it next time.” without giving them the opportunity to figure out what went wrong. Instead, it’s better to tell the child that mistakes happen, and to pay attention and work to figure out where and how they made the mistake. 32. What’s the resold of telling kids they’re clever? A. They may think efforts are useful. B. They may be attentive to their mistakes. 8. They may think they’re very clever. D. They may think intelligence is fixed at birth. 33. How would children with a “growth mindset” react to their mistakes in the study? A. They would be more careful to their mistakes and more likely to improve. B. They had a smaller response and would pay no attention to their errors. C. They would he less attentive to their errors and pay little attention to their mistakes. D. They are more likely to have a larger brain response before making a mistake. 34. What does the author advise the parents to do when their kids make mistakes? A. Comfort the kids and stress the efforts they made. B. Tell them it’s OK and they will get it next time. C. Praise the progress they made but not their smartness. D. Let the child think about what mistakes they made. 35. What floes the passage mainly talk about? A. Praise the children for their intelligence. B. How to Heal with kids’ performance at school. C. Proper response to kids’ mistakes and progress. D. The reflection on kids’ smartness and development. Are you truly happy? Do you ever know what it means to be happy and what it takes to achieve happiness? _36 The following are a few tips that I follow to create happiness in my life. Make a plan for attaining goals that you believe will make you happy. Your mood will very likely increase if you are going after something you value. When something goes wrong, try to figure out a solution instead of being absorbed in self-pity. Truly happy people don’t allow setbacks to affect their mood because they know that with a little thought they ran turn the circumstances back to their favor. 38 These few minutes will give you the opportunity to focus on the positive things in your life and will lead you to continuous happiness. 39 Whether you treat yourself to lunch, take a long, relaxing hath or simply spend a few extra minutes on your appearance, you will be subconsciously putting yourself in a better mood. A. Cheerfulness doesn’t always imply happiness. B. Find a way to joke about a situation that would otherwise make you happy. C. Spend a few minutes each day thinking about the things that make you happy. D. It’s also important to take some time each day to do something nice for yourself. E. These are important questions for anyone who is staking happiness to ask themselves. F. Being overweight or not eating nutritious foods ran have a negative effect on your mood. G. On the contrary, if you are around people who are happy, their emotional states will be infectious. Last Sunday. I went to the neighborhood cafe with my friend. On the way, 41 an old lady, 42 cart had been knocked over and her goods were scattered across the pavement. She was 43 her goods. People passing by were 44 her as if she were a beggar. I hesitated. Many things were running through my mind. “What should we do?” I asked my friend 45 . “It’s none of our business. 46 , you may get both of us into trouble and 47 it if you help,” my friend said 48 and then continued to walk ahead. However, I had great 49 on this poor lady. “She really needs help.” I said seriously and began to 50 the lady. I cautiously 51 beside the lady, helping her. I could feel the passers-by eyeing me 52 . I knew they were thinking that I was 53 for helping her or that I had knocked over her cart and therefore I was assisting her out of _54 . “You are welcome!” I murmured, offering a 55 . She also smiled. After all goods were picked up, she slowly rose 56 her feet. She thanked me again, and continued walking down the street. Yet I knew that her smile and 57 would always he impressed on my mind. At that moment, I didn’t care anymore 58 other people thought. I smiled to myself because although I had helped that lady in such a 59 wav, she had helped me more by showing me how I could he 60 in the world. There is a woman 61 (name)Daisy who has devoted all her life to 62 (attend)to the homeless children. It’s generally recognized that what she has done for children 63 (deserve)to be respected by everyone. 64_(personal)speaking, her selfless behavior sets a good example to us. Everyone does have a hope for a new year. Do you hope that 2019 will the year in which you can achieve higher scores, eat healthy and go to bed earlier? If we are able to strength our self-control and willpower, it’s likely to that we will achieve our aims. Let’s spend some time reflect on our emotionally well-being and resolutions. We should be patient with ourselves and he proud with all our achievements, no matter what tiny they are. Achieve our goal is not a rareness or competition. It’s a step towards being the best person that we can be. I’m Li Hua from Yongjia Middle School. Now I’d like to sharp mv experience in learning oral English. higher scores, eat healthy and go to bed earlier? towards being the best person that we can be. I’m Li Hua from Yongjia Middle School. Now I’d like to share my experience in learning oral English. Firstly, I’m always confident and brave. I seize every opportunity to speak English, not afraid of making mistakes which may embarrass me a lot. I also find it of great benefit to take part in English activities, such as English comers, where I can also make many friends. By talking with them, my oral English has improved greatly. Finally, some English programs like CCTV 9 contribute to the progress in my speaking ability. In this way I learn the standard pronunciation and intonation by imitating over and over again. As the saying goes, practice makes perfect. Our hard work will finally be rewarded. 1. Where did the man get the book? 2. How does Mike usually go to school now? A. By car. B. By bus. C. By bike. 3. What is the weather like now? 4. What time does the woman want to meet the man? A. At 1:00 p.m. B. At 1:30 p.m. C. At 2:00 p.m.
A. What to have for dinner. B. How to make Chinese food. C. Where to find an Indian restaurant. 6. How often does the man go to the gym? B. Five times a week. 7. What does the woman want to go to the gym for? A. Dancing. B. Running. C. Swimming. 8. How many people are going hiking? 9. When will the speakers go hiking? A. On Wednesday. B. On Thursday. C. On Friday. 10. What does Aron say about his mother? A. She just changed jobs. B. She just moved to London. C. She just opened a law firm. 11. What will Aron be doing in Paris? A. Looking for a job. A. Co-workers. B. Friends at school. C. Brother and sister. 13. How long will the exhibition in Italy last? A. Two weeks. B. Four weeks. C. Eight weeks. 14. Where is the second stop of the exhibition tour? A. Spain. B. Greece. C. Portugal. 15. Why won’t the speakers go to the exhibition on Saturday? A. The woman has to go to classes. B. The man has to work on his paper. C. The museum will be crowded that day. 16. Where will the woman probably be on Friday morning? A. In the library. B. At the gallery. C. In the classroom. 17. How many languages does Start Today teach at the moment? A. 11. B. 22. C. 57. 18. Why do most people learn new languages according to the speaker? A. To become language experts. B. To get better opportunities. C. To travel around the world. 19. What is the goal of Start Today? A. To make education free through technology. B. To develop more courses through technology. C. To create private experiences through technology. 20. What is the learning process like at Start Today? A. Very fun. B. Very boring. C. Very difficult. I felt like I had clicked my heels three times and come to a country away from home every morning as I walked through the doors at the Embassy of Australia in Washington. Musical Aussie accents, and Aboriginal art exhibits made me wonder if I had entered without a visa. In fact I was a temporary employee, a public affairs unpaid intern(实习) for three months during the summer in order to engage myself in the culture of the country where I planned to study the next spring. During the summer I read the Australian news every day. Working at the embassy allowed me to escape the U.S. for six hours per day and learn about what was going on across the planet. After reading the daily Australian and U.S. news I usually helped prepare a PowerPoint presentation for school kids who visited the embassy as part of a school activity. Depending on whether an embassy event was going on, I would attend weekly meetings to listen in on planning and see what I could do to help. Usually there were smaller tasks to be done such as creating visitors' guides. The most fantastic event in which I participated was the visit of the Australian prime minister. As the only American among countless Australian media and staff, I felt comfortable and was kept busy taking pictures and recording door-stop interviews at famous sites such as the Capitol. But as an intern, you will not be inside, exposed to top-secret information, when it comes to special events. Government work is a useful addition to one's experience. As an embassy employee you will gain invaluable knowledge while spending your summer in a culturally diverse workplace. 21. What is the author talking about? A. Her foreign culture experience. B. Her trouble in finding a job. C. Her embassy internship. D. Her preparation for future employment. 23. What was the author forbidden to do when the Australian prime minister visited America? A. Record door-stop interviews. B. Know top-secret information. C. Take pictures of special events. D. Stand among the Australian staff. 24. What can we infer about her daily routine at the Embassy? A. It is tiring. B. It is disgusting. C. It is relaxing. D. It is exciting. Three years ago Jenny Salgado, a Dominican shop assistant, moved to Highland town, a neighborhood of Baltimore. When she arrived the shop she works in was one of only a few Spanish businesses. Now there are many more. “It’s good now if you speak Spanish,” she smiles. Baltimore has been losing people for 60 years. To address this, its former mayor, Stephanie Rawlings-Blake, wanted to make it the most immigrant-friendly city in the world. Its libraries provide Spanish-language exercise classes. To help those with no papers, the city is introducing micro-loans (小额贷款)which require no credit checks. City police would no longer routinely check the immigration status of citizens or enforce any federal immigration law unless required to. The then governor, Martin O'Malley made it possible for illegal immigrants to get driving licenses. Such welcoming policies are spreading. Such cities as Cleveland, Dayton and Philadelphia all eagerly try to please immigrants. Rick Snyder, Governor of Michigan, has asked the federal government to offer 50,000 visas to people who agree to live in Detroit. His administration has made it easier for skilled migrants to get professional licenses. When a city’s population falls, both tax receipts and services fall. Half-deserted neighborhoods breed (滋生)crime, driving yet more people to leave. No city has escaped this without attracting new residents, says Steve Tobocman of Global Detroit. Several studies suggest that when immigrants arrive, crime goes down, schools improve and shops open up. In Detroit, immigrants living near the tiny separate city of Hamtramck have formed local watches to guard against thieves. Their neighborhoods are not just safer; they are also among the only places where it is as easy to buy fresh vegetables as drugs and alcohol. But attracting new immigrants to the cities which most need them is hard, argues Audrey Singer of the Brookings Institution. They care about the same things as everyone else: safe streets, good schools and jobs. Cities which have lost population for decades struggle with all of these. 24. What does the underlined word “address” mean? 25. Which can best describe the situation mentioned in Paragraph 3? 26. What is the topic of the last but one paragraph? A. Problems caused by immigrants. B. The positive role immigrants play. C. The living conditions of immigrants. D. Difficulties immigrants face in Detroit. 27. Which statement may Audrey Singer agree with? A. There is no need to encourage such immigrant-friendly policies. B. Immigrants have higher expectations of a city than its locals. C. Attracting immigrants helps prevent a city from losing population. D. Attracting immigrants to cities losing people is demanding. I recommend a lot of non-fiction books, and every once in a while I review a novel. But I don’t think I’ve ever written about a book of poetry before. That’s almost what Maylis de Kerangal’s The Heart is, though. It’s poetry disguised as a novel. Three French 20-year-olds go surfing in the middle of the night, and as they’re driving back from the beach just before sunrise, they have a car accident. Two of them survive but one of them, Simon, dies, and his parents have to decide whether to donate his heart or not. They finally decide to do it, and doctors transplant(移植)the heart, and the book is over. That’s just its story. The car crash happens in the first 15 pages, so the rest of the book is a meditation(冥想)on life, death, and, as the title suggests, the heart. There aren’t even that many characters: you meet Simon’s father and mother, the doctor on duty at the hospital when Simon gets there, the nurse assisting him, the head of the organ donation organization, the woman who gets the heart in the end , and a few other people. But just describing the plot is like saying “during a heart transplant, doctors put one person’s heart into another person’s body” and leaving it at that. It’s not the plot that makes The Heart such a wonderful book. First of all, there’s the language. It makes me think of Vladimir Nabokov more than anybody else. The sentences are rich and full, and they go on and on, which is the exact opposite of how I write. At times I found myself reading more slowly than usual, simply because the way she describes things is so beautiful: at one point she describes a character’s words an “reddening rocks from a still-burning fire”. The choices of words are very specific—I went to the dictionary a dozen times to look up the words I didn’t know. 28. What does the author think of the story of the book? A. not complex. B. very touching. C. very interesting. D. very inspiring. 29.From the 16th page, the book ________. 30. What makes the book wonderful according to the author? 31. This passage can be classified as________. When a laptop or smart phone battery starts losing its power, the only options are to buy an expensive replacement, or just keep it plugged in (接通电源的) all the time. But one woman may have found the answer to this problem. Thai said she had been frustrated that the batteries for her wireless devices degraded(退化) over time, until they failed to charge fully. Thai did not like having to keep her laptop connected to an electrical outlet (电源插座) to keep it powered on. So, she decided to do something about that problem. At first, she and her team at UC Irvine thought about inventing a new battery. But as they experimented, Thai discovered something that might permit lithium-ion (锂离子) batteries to last forever. But, Thai had a theory – the nanowires might last longer if covered with a gel (凝胶). She and her team tested this theory. “It was a long process and a lot of work,” Thai said. The team tried many coverings for the wires. PMMA, a type of plastic, was one of them. The nanowires were coated with PMMA and cycled through charges 200,000 times. The PMMA-coated nanowires showed no evidence of damage. The results suggest that batteries could last forever, without losing charging ability. Thai said 200,000 cycles amount to about three months on just one device. A. She disliked the batteries for her laptop. B. She thought batteries were too expensive. C. She found that batteries gradually wear out. A. They last only 7,000 charging cycles. B. They are too weak to carry electricity. C. They are not suitable to use in batteries. D. They are the main cause of battery degrading. 34. The breakthrough may most probably lie in ______. Why do you go to the library? For books, yes—you like books because they tell stories. ______36______ At one type of library, you can just do that –even though there is not a single book. At the Human Library, instead of books, you can “borrow” people. _______37_______ For a certain amount of time, you can ask them questions and listen to their stories, which are as fascinating as anything you can find in a book. You can speak with a refugee (难民),a homeless person of a woman living with HIV._______38_____ In other words, the Human Library encourages people to challenge their own prejudice(偏见)--to truly get to know and learn from someone they might otherwise make an unfair judgment about. _____39_____ Ronni Abergel, his brother Dray and some colleagues hosted a four-day event during a major Northern European festival, hoping to raise awareness about violence among youth. After the success of this event, Abergel set up the Human Library Organization, which has been growing ever since. A. Their life stories are on various topics. B. People with unique life stories volunteer to be the “books”. C. Here, difficult questions are expected, appreciated and answered. D. It seeks to show people that you truly can’t judge a book by its cover. E. You hope to be lost in a story or be transported into someone else’s life. F. You don’t need a library card –anyone can come and be part of the experience. G. The Human Library Organization was founded in Copenhagen, Denmark in 2000. I had just arrived in this Asian country for a one-year teaching position. One day, I took the subway to visit some ancient palaces and temples in the downtown. The following account of what happened to me has taught me much about culture 41 . Since all the 42 were taken, I stood. Suddenly, I felt someone pulling on my bag. 43 I probably was in someone’s way, I moved over slightly. But in one quick motion, I felt my bag removed from my back, and in a flash it was44 .I turned around to see who the thief was. I looked at the people standing behind me, but didn’t see my bag or anyone 45 .My heart sank and I began to 46 . I glanced around the car and found directly across from me was an elderly lady, and sitting on her lap was my 47 .I tried to get it back from her lap. But as I began to 48 it up, she quickly grabbed it back and 49 it. I looked around at the people standing beside me, and those sitting beside her, but no one took any notice of the situation. Trying not to cause a/an 50 ,I tried to negotiate(协商) through gestures. I used my hands as best as I could, but she 51 my requests for my bag and pointed to my back. She picked up my bag, showing how 52 it was. I finally began to understand. She was holding my bag to 53 me. At the next stop, a middle-aged woman got on the crowded subway. Another elderly woman sitting down took her bag, 54 it on her lap. They didn’t talk; 55 this older woman was very pleased to sit with this stranger’s bag on her lap throughout her journey. As the subway pulled into the main downtown station and I was getting ready to get off, the woman 56 handed me back my bag. But 57 I had a chance to thank her, she had disappeared into the crowd. Sadly, this considerate custom was more 58 to me than if I had been robbed. Everyone back home had heard of being robbed--that was 59 city behavior --but having a stranger hang on to someone’s bag out of 60 ,in a city of twelve million people-- that was truly unusual. A lot of films have tried to describe the afterlife and our memories of family members who have passed away. But few have done better than Coco, which_____61_____(enjoy) popularity worldwide since it was released. The film creating a young boy, Miguel, ____62___dreams of becoming an accomplished musician , _____63_____(set) in the Mexican holiday of Dia de los Muertos—Day of the Dead .On that year’s Dia de los Muertos, he gets accidentally ______64_____(transport) to the Land of the Dead, only _____65____ (find) himself involved in a mysterious chain of events. ____66___ is in this magical world that Miguel gets to meet and discover the truth about his great-great-grandpa. While told with a wild imagination, the story presents a clear and warm message , as Vanity Fair put it , ___67___ family comes first. Family is a concept at the center of Mexican culture. On Dia de los Muertos every year, people in Mexico honor their ancestors ___68___ putting their photos up on the family shrine(神龛), as indicated in the film, and share food and ____69____(drink) to keep the spirits of their family members alive. “In an era when young people are so ____70____(easy) attracted by celebrities, Coco teaches kids to preserve and respect the memory of their ancestors . It is so amazing question that I can’t wait to answer it. If I had a clone of myself for one day , I would have it do the following for me . In the morning, it will walk my dog with my grandfather ,who retired a few years ago and needed company. Very busy as my parents are, but they still spend plenty of times on housework. As for me, I am too occupying to help them. So I hope the clone can do a favor to them in the afternoon. Above all, it will share happiness and have a warm talk with my parents, express my gratitude for all what they have done for me .Meanwhile , it will tell them I am more than happier to be their daughter. If only I have a clone of myself ! What about you ? It is so amazing ⌃question that I can’t wait to answer it. If I had a clone of myself for one day , I would have it do the following for me . In the morning, it will walk my dog with my grandfather ,who retired a few years ago and needed company. Very busy as my parents are, but they still spend plenty of times on housework. As for me, I am too occupying to help them. So I hope the clone can do a favor to them in the afternoon. Above all, it will share happiness and have a warm talk with my parents, express my gratitude for all what they have done for me .Meanwhile ,it will tell them I am more than happier to be their daughter. How are you? Glad to tell you something about mobile payment in China. Mobile payment is very popular in China, which has made people's daily life more and more convenient. Most of us are used to paying by scanning QR codes. By mobile payment, we can pay easily wherever we go. We are able to pay for many things by scanning with smart phones. It is the widespread use of mobile payment that saves us the trouble of taking cash or bank cards. Mobile payment has greatly changed people's lives in China. It seems that China is really leading in some ways and mobile payment is also sweeping the world. If you want to know more, feel free/don't hesitate to ask! Looking forward to your reply! W: Hey, I just finished reading the same book. Did you get it from the library? M: I borrowed it from my brother. He just bought it from a bookstore. W: How do you usually go to school, Mike? Do you take the bus? M: No. My parents used to drive me, but the traffic in the morning is just terrible. So I ride my bicycle to school now. M: Would you like to sit outside? The sun is finally out. W: But it is still very cold outside, and it seems like the wind will pick up soon. Let’s just sit inside to keep warm. M: Hey Lucy, are we still meeting at the station at half past one this afternoon? W: Let me see… It’s already one o’clock, and I still need a little time to finish my homework. Let’s meet there in one hour from now. W: Shall we order some pizza for dinner tonight? M: Didn’t we just have pizza the day before yesterday? W: No. We had pizza over the weekend. I made Chinese food two nights ago. Remember? M: Oh, that’s right. Let’s order some Indian food, then. W: Do you exercise often? M: Yes. I exercise pretty often. I go to the gym five times a week. W: That’s cool! I have been thinking about starting to go to the gym, too. M: You should. What do you want to go to the gym for? W: I want to start swimming. M: That sounds like a plan. Do you do any exercise at the moment? W: I run for half an hour every morning, and I go to a dance club twice a week. W: Hey Kevin, James and I have been thinking about going hiking one of these days in the countryside. Would you like to come along? M: Sure, that sounds fun! How about Wednesday? W: Well, according to the weather forecast, it is going to be very cloudy that day. How about Thursday? It should be sunny by then. M: I have plans for Thursday already. Let’s do it on Friday, okay? W: All right. That will work for us, and the weather is nice on Friday, too. M: Cool! So how should we go? Shall we take the bus? W: No. James can borrow his father’s car. We will pick you up at your place. M: Hey Tina, I just want to let you know that I will be moving away after this semester. W: Where are you moving, Aron? M: Paris. My mom received a job offer from a law firm there, and she decided to take it. W: Is your whole family going to move there? M: Well, my sister and I will go with my mom first. My dad will stay in London for another year and then join us. W: Do you know how long you will live there? M: At least two years. My mom has already found a school there for me and my sister. W: Will you come back to London and visit during those two years? M: Of course. I will come back to visit during holidays, maybe even at the weekend sometimes. Paris is not that far after all. W: Okay. Well, good luck with everything. I will for sure miss you. M: Thanks. I will miss you, too! W: Would you like to go to the National Gallery of Modern Art sometime this week? M: Sounds good. Is there any special exhibition going on at the moment? W: Yes! They are showing Vincent van Gogh’s paintings in the main gallery. M: Really? That’s super cool! How long will this exhibition last? W: Two weeks. All the paintings are borrowed from the Van Gogh Museum in Holland. M: Nice. I wish it could last longer. W: Me, too. But this special exhibition is actually part of a Southern Europe tour. So after being shown here in Italy, these paintings will go to Greece, Spain, then Portugal before going back to Holland. M: So how long is the entire tour? W: Eight weeks. The exhibitions in Greece and Spain will be four-week long. M: Okay. So when should we go? W: I was thinking this Saturday. But the museum must be very crowded over the weekend. M: How about Friday? I don’t have any class on Friday. W: Sure. Though I do have two classes in the morning. So let’s go in the afternoon. M: All right. Then I will work on my paper in the school library. Meet there at noon? Start Today is one of the best language-learning websites today. At the moment, we offer 57 different language courses across 22 languages. And another 11 new courses are being developed by our professional team of language experts from all around the world. Today, there are over one billion people trying to learn a new language, and most of them are doing so in order to get better opportunities in life. Unfortunately, learning a new language can often be very expensive. But that is not a problem here at Start Today, because we believe in free education. All of our online courses are free of charge, and our goal is to give everyone who learns with us a private tutor experience through technology.Now, you may think learning online is boring, but be ready to change your mind at Start Today. To make sure the learning process is interesting, our courses are designed like games. So you will not only pick up new language skills, but also have a lot of fun doing it.So what are you waiting for? Sign up today and start learning!